So, if you're looking to hit the Natural History Museum while everyone is Netflix and chilling during the storm, well, don't. 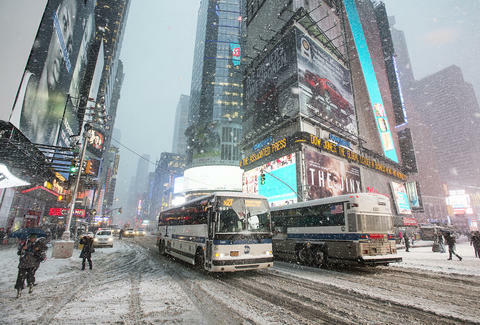 All bus service in New York City stops at noon today, January 23, 2016, according to a recent MTA winter storm update. Now, you're not completely out of transit luck since most NYC Subway lines are currently operating with weather-related delays. However, all above-ground subway lines, Long Island Railroad, and Metro-North Railroad are set to close down at 4pm. And to be honest, you should not go anywhere anyway. Because of, you know, the blizzard outside your window. Check out the MTA's most recent updates on their website. But most importantly, stay safe New Yorkers! Kara King is a News Writer at Thrillist and isn't afraid of no storm. Send news tips to news@thrillist.com and follow her at @karatillie.